While doing the supermarket shopping I ended up walking down the aisle that display the magazines. Normally I don’t take a look at them as I always say to myself that I can google recipes. The magazine always ends up not getting used and gathering dust. Then it ends up in the recyclable bin anyway. But my son was with me that day and he wanted to have a look at the Top Gear magazine. 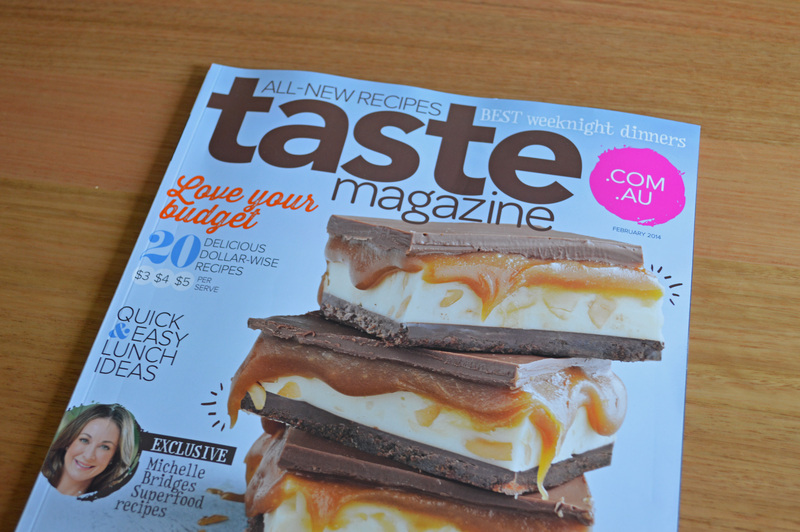 While he was seeing if it was worth buying I had a quick look over the food magazines. 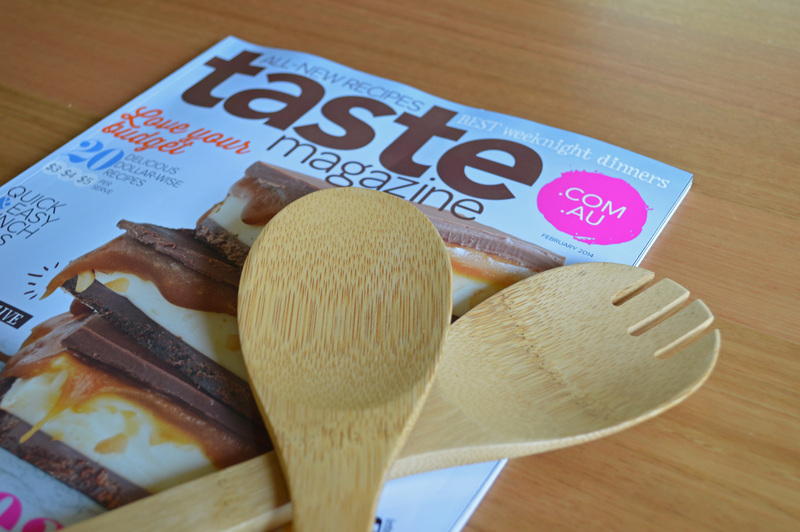 I saw the Taste magazine and it had a set of wooden spoons attached to it. Gave a quick flick through the pages and saw that there was a Caesar salad recipe and some nice dessert recipes. 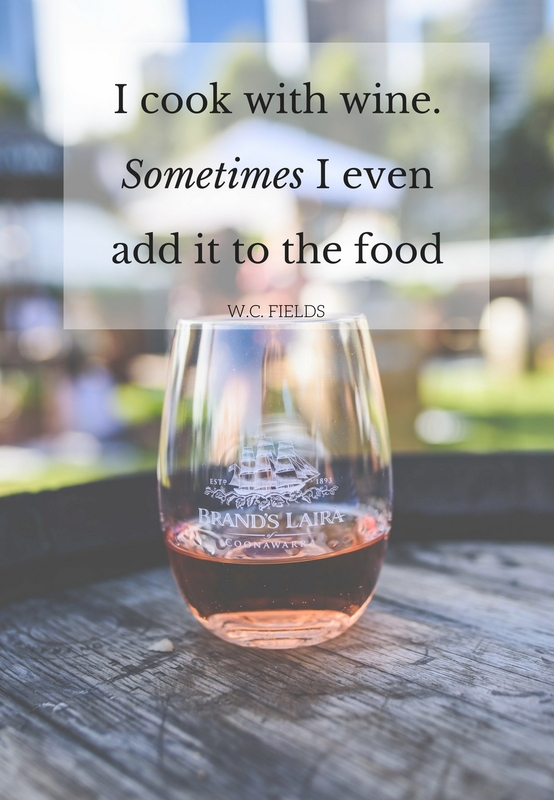 It just so happened it was my hubby’s birthday that day and I was wondering what to cook for dinner that night. Perfect, Caesar Salad and Not so fried ice-cream it is! And of course, bonus wooden spoons. I can never have enough spoons for the kitchen, can you? 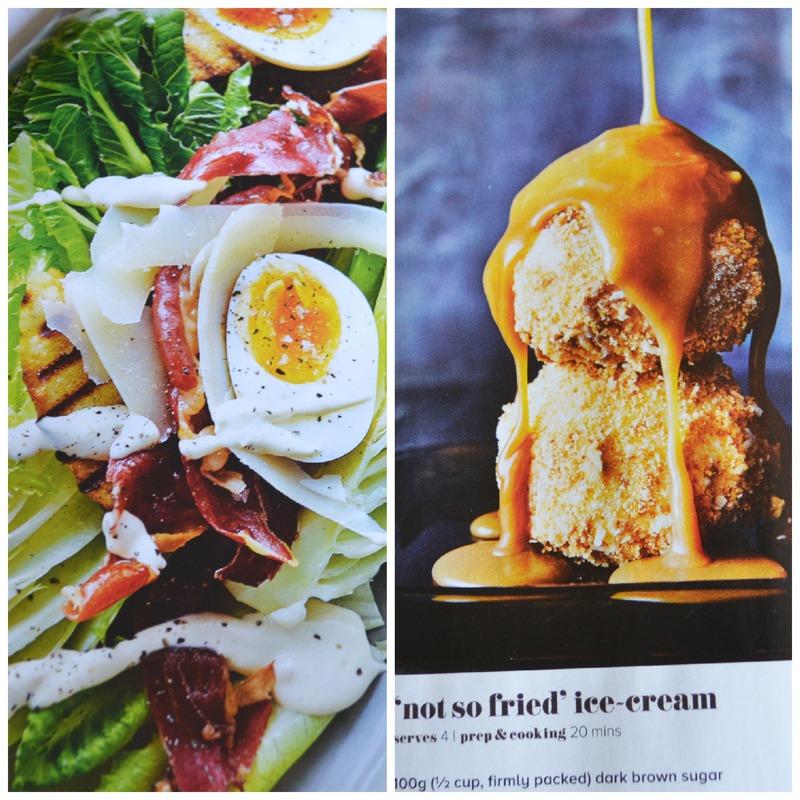 So, I ended up buying the magazine and made the Caesar salad for dinner and the not so fried ice-cream for dessert. It was a hit and we even had some ice-cream balls left over. I didn’t get to take any photos as the Caesar salad was more work than I thought and when I finished assembling it I just wanted to sit down and eat it. 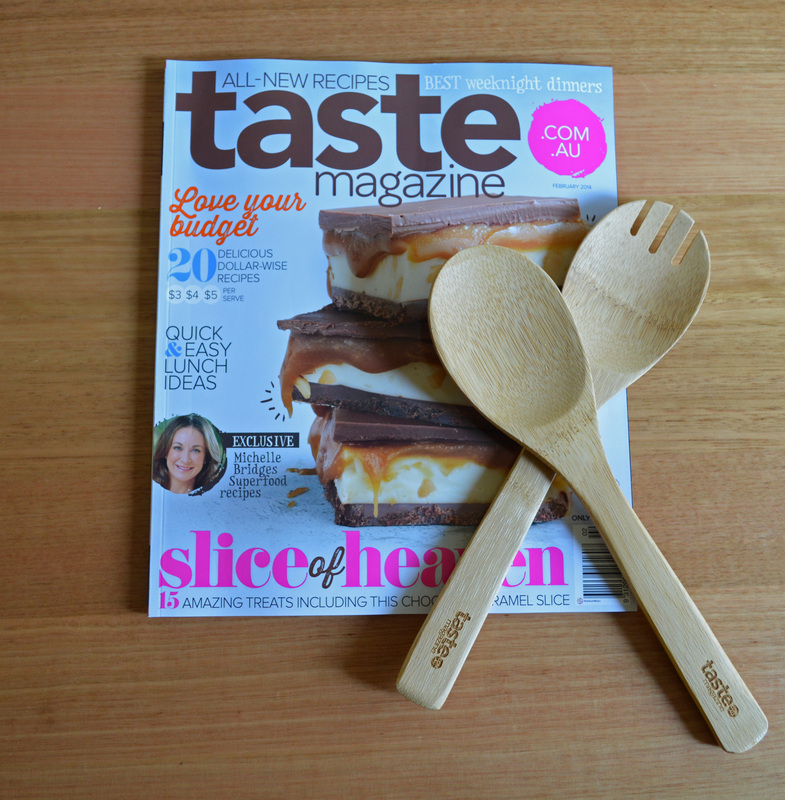 The magazine now sits on my bench in my recipe holder. My kids have eyed off what is on the front cover and have requested for me to make it, maybe on the weekend? I hope that this magazine gets used more otherwise it’s off to the recyclable bin!